Don't overlook this link for more books on bowls biographies. 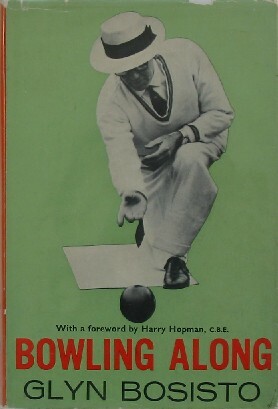 Synopsis What Bradman is to cricket, Lindrum to billiards, Hoad to tennis and Elliott to athletics, Bosisto is to bowls. He has dominated Australian bowls for 30 years. Now, with some 50 major titles confirmed (and plenty pending) 'The Master' has spent a winter picking up a pen instead of grassing a bowl. The result is the whole history of the best bowler in a country of a quarter of a million bowlers. The only man to capture four successive Australian Singles Championships, Bosisto tells how he does what the next man doesn't, why, and what happens in the process. In one volume he answers the thousands of questions asked of him over the years - what makes one grip better than another? Why does one bowler drive and win and another drive and lose? Why do some selectors make friends and others make enemies? Why does Australia win at home and lose abroad? Why did he 'throw' a match and remember it for the rest of his life? Bosisto bowls along from Brisbane to Perth, Sydney to Vancouver, Melbourne to Cardiff - even to Plymouth Hoe where Sir Francis did the game so proud - stepping off to win matches, see places and faces and discover things that are new in a world that is 600 years old.